1. Licensing or Selling of the integrated credit/debit card signature utensil patent pending idea. 2. 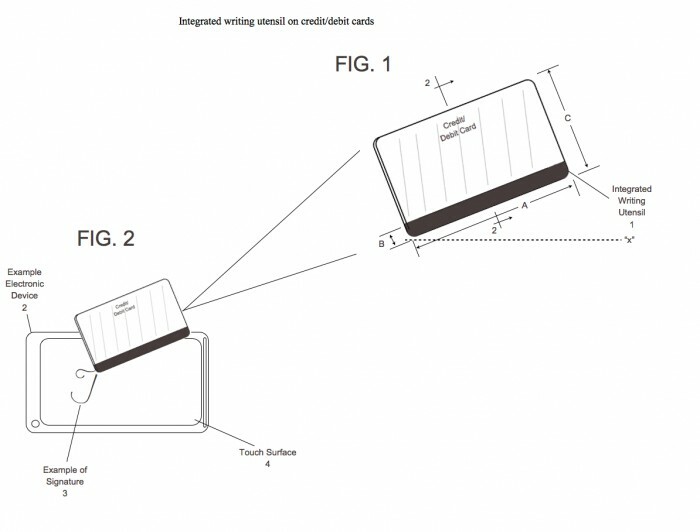 This patent pending idea offers convenience and a germ free environment when it comes to an electronic signature, as appose to using the provided germ infested stylus found attached to the credit card processing device. The mission of integrated credit/debit card signature utensil is to become the primary method of signature of electronic credit/debit card processing, which will reduce customer line times that allow higher volume sales. The patent pending idea will be integrated with the standard size credit/debit card, while maintaining the standard size, usability and flexibility of the card. This will work on all electronic devices; such as mobile devices with touch screens and credit card processing terminals with touch screens. This will be a low cost method to add to Credit Cards with a high profitability in return. The Hygiene market is a billion dollar a year industry which is experiencing astounding growth. The hygiene market has seen a substantial growth over the 5-10 past years, and expects to continue in rapid growth. 1. An aggressive marketing campaign utilizing the main forms of media. 1. Breaking into the hygiene market, is going to be relatively simple. By showing the statistics of a dirty germ infested stylus, which is used everyday, and show how now there’s a choice with the new integrated credit/debit card signature utensil, not to get infected by germs, bacteria and diseases. 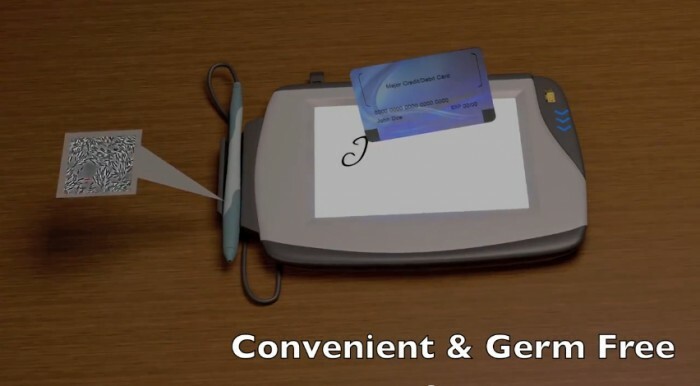 Also this new integrated credit/debit card signature utensil is more convenient and handy as it saves time, also will reduce customer line times that allow higher volume sales. This is a must have for your company! Licensing or Selling of the integrated credit/debit card signature utensil patent pending idea. I would prefer outright sale. I will entertain trades as well, Real Estate, Vehicles, Boats etc. Page created at 2019-04-21 16:38:05, Patent Auction Time.